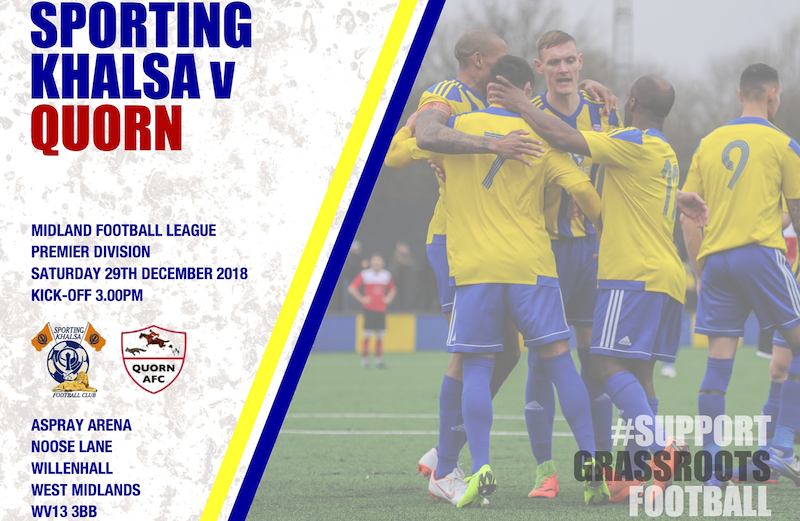 Just ten days after suffering a 2-1 defeat at Quorn, Khalsa have the opportunity to put the record straight at the Aspray Arena on Saturday (kick off 3pm). Two goals by ex-Walsall Wood striker Stephen Hart – his 34th and 35th of a remarkable season – were enough to secure Quorn a win in a game where Khalsa created the lion’s share of the opportunities but frustratingly couldn’t capitalise. 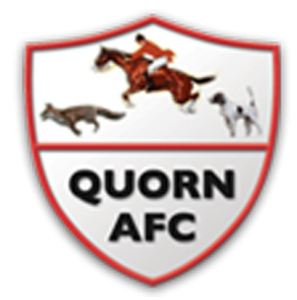 Since then, Quorn have fought out a 1-1 draw with AFC Wulfrunians and beaten Loughborough University 3-2 to take them up to ninth in the Midland Football League. Khalsa, meanwhile are in sixth spot, beating AFC Wulfrunians 4-1 on Boxing Day but having their scheduled match at South Normanton fall foul to the weather. In terms of cross-pollination between the two sides, there’s one obvious individual, Khalsa’s Sean Williams who signed two weeks ago from Khalsa, making his debut on Boxing Day. Last season saw Khalsa and Quorn split victories with Quorn winning at Castlecroft during Khalsa’s stay there in April in a 3-2 win and earlier in the season an own goal decided the clash at Quorn 1-0 to Ian Rowe‘s men. Admission is £5, £3 concessions/under 16s. Food and drink will be in plentiful supply, the action will be fast and furious. If you need help finding us, help is what you will find here.